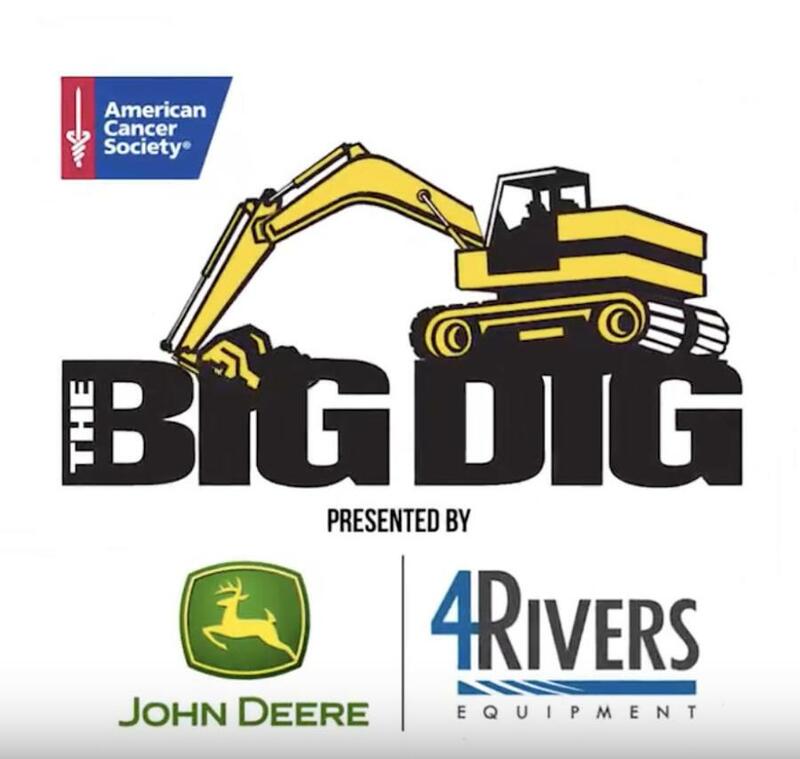 The event will be held from 9:00 a.m. to 1:00 p.m. on Saturday, July 21 at Ritchie Bros. Auctioneers in Longmont, Colo.
John Deere dealership, 4Rivers Equipment, will be sponsoring the American Cancer Society's 2018 Big Dig of Northern Colorado event, which will be held from 9:00 a.m. to 1:00 p.m. on Saturday, July 21, at Ritchie Bros. Auctioneers in Longmont. The Big Dig gives local Northern Colorado children, including cancer patients and survivors, the opportunity to attend and operate heavy machinery donated by 4Rivers Equipment. Sponsors and ticket holders will be given hard hats for the day operating heavy construction equipment, such as John Deere excavators and boom lifts, in a festive fair-like atmosphere. More than 1,500 big and little construction dabblers are expected to attend the annual Big Dig of Northern Colorado for the American Cancer Society event. cancer and the average age of diagnosis is 6-years-old. Colorado). Their mission is to save lives, celebrate lives and lead the fight for a world without cancer. If you are interested in becoming a Big Dig of Northern Colorado sponsor, you help reduce the burden of cancer on the community. Your generous contributions help fund research, patient services, advocacy and cancer prevention education. For sponsorship information, visit www.bigdigofnortherncolorado.org. John Deere dealership, 4Rivers Equipment, has fifteen (15) dealerships across Wyoming, Colorado, New Mexico and Texas. Celebrating 92 years of service this year, 4Rivers Equipment is dedicated to serving each and every customer with unmatched service and support.